If I see it right,this may be a potato flower…am I right…?If not,feel free to slap me on the wrist…..
You could be right, I’m not sure either. 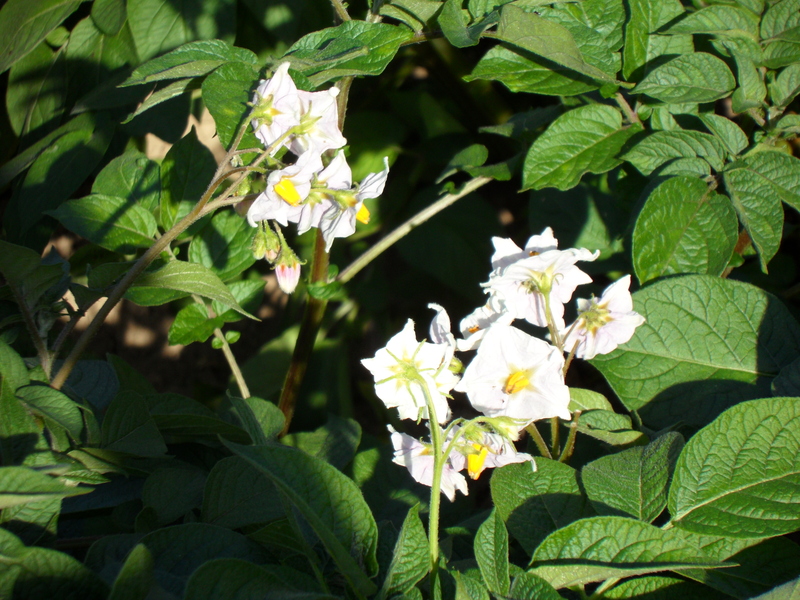 Definitely potato plant….I found this picture taken last summer in my dad in law’s vegetable garden…and he is secretly fond of potatos…. Thank you Elina, you just answered someone else’s question. Reblogged this on Scotties Toy Box.